Friedrich Wilhelm Michael Kalkbrenner (November 2–8, 1785 – June 10, 1849) was a pianist, composer, piano teacher and piano manufacturer. German by birth, Kalkbrenner studied at the Paris Conservatoire starting at a young age and eventually settled in Paris, where he lived until his death in 1849. For these reasons, many historians refer to Kalkbrenner as being a French composer. At his peak, Kalkbrenner was considered to be the foremost pianist in Europe. When Frédéric Chopin came to Paris, Kalkbrenner suggested that Chopin could benefit by studying in one of Kalkbrenner's schools. It was not until the late 1830s that Kalkbrenner's reputation was surpassed by the likes of Chopin, Sigismond Thalberg and Franz Liszt. The only serious rival he had was Johann Nepomuk Hummel. Kalkbrenner was a prolific composer of a multitude of piano works (altogether more than 200), piano concertos, and operas. Author of a famous method of piano playing (1831) which was in print until the late 19th century, he ran in Paris what is sometimes called a factory for aspiring virtuosos and taught scores of pupils from as far away as Cuba. His best piano pupils were Marie Pleyel and Camille-Marie Stamaty. Through Stamaty, Kalkbrenner’s piano method was passed on to Louis Moreau Gottschalk and Camille Saint-Saëns. He was one of the few composers who through deft business deals became enormously rich. Chopin dedicated his first piano concerto to him. Kalkbrenner published transcriptions of Beethoven's nine symphonies for solo piano decades before Liszt did the same. He was the first one to introduce long and rapid octave passages in both hands – today so familiar from 19th century piano music - into his piano texture. Today he is not so much remembered because of his music, but because of his alleged vanity. Kalkbrenner was convinced that, after the death of Mozart, Beethoven and Haydn, he was the only classical composer left, and he never hesitated to let the world know this. Although of humble origins, he had a lifelong aspiration to be an aristocrat and delighted in rubbing shoulders with the nobility in London and Paris. He is invariably described as a somewhat pompous, formal, overly polite, yet intelligent and business wise extremely shrewd man. He was the target of many anecdotes during his own lifetime and bitingly satirized by the German poet Heinrich Heine. There hardly is any other composer who lives on in so many anecdotes and stories as Kalkbrenner. Not much of his huge output has survived, although several pianists have taken some shorter works of his into their repertoire. A new recording of two of his piano concertos (No. 1 and No. 4) was released in 2005; an older (and abridged) recording of the piano concerto No. 1 is still available. 2012 saw a new CD release of his second and third piano concertos. Friedrich Wilhelm Kalkbrenner was the son of Christian Kalkbrenner and an unidentified mother. Kalkbrenner was born, allegedly in a post chaise, during a trip his mother made from Kassel to Berlin. His birth was consequently unable to be registered with the authorities, and hence the exact date of his birth was not recorded. Kalkbrenner's father was going to be appointed Kapellmeister to Frederica Louisa of Hesse-Darmstadt, Queen Consort of Prussia, in 1786. Thus, it is possible that Kalkbrenner's mother was on the way from Hesse to Berlin to join her husband, who would shortly take up his new duties at the court of Potsdam. Kalkbrenner’s own father was his first teacher. The boy must have progressed rapidly. By the time he was six he played a piano concerto by Joseph Haydn to the Queen of Prussia. When he was eight he spoke four languages fluently. Although his education must have been privileged and took part in beautiful, even dreamy surroundings in Potsdam and Rheinsberg castle, Kalkbrenner retained the heavy Berliner argot, characteristic of working-class people to this day, for the rest of his life. At the end of 1798 Kalkbrenner was enrolled at the Paris conservatoire. He was in the piano class of Alsatian pianist and composer Louis Adam, father of the now more famous opera composer Adolphe Adam. Louis Adam was for 45 years the most influential professor for piano at the Paris Conservatory. According to French pianist and piano professor Antoine François Marmontel, he put his pupils to work on great masters like Bach, Handel, Scarlatti, Haydn, Mozart, and Clementi - at that time a notable exception among piano teachers. In harmony and composition he was taught by Charles Simon Catel. Kalkbrenner was a fellow student of opera and ballet composer Ferdinand Hérold and did well at his studies. In 1800 he won second prize for piano (Pierre-Joseph-Guillaume Zimmermann came in first), in the following year first prize. When he left Paris at the end of 1802 for Vienna to continue his studies, Kalkbrenner was not yet a finished artist, but he could already look back on a solidly musical education from recognized masters in their own fields. In the latter half of 1803 Kalkbrenner travelled to Vienna to continue with his education. It is not yet clear why he took this step, it could be that he assumed that he wanted to crown his studies with lessons from some representative of the Viennese Classical School. It must have been easy for him anyway because he spoke German as his native language and he probably had help from his father who was a known musical personality in the Austrian capital. In Vienna he took counterpoint lessons from Antonio Salieri and Johann Georg Albrechtsberger, then already quite old, but the eminence in Austrian music theory and the finest contrapuntist of his day. Moreover, Albrechtsberger had been the teacher of Beethoven, Carl Czerny, Hummel, Ignaz Moscheles, Josef Weigl, and Ferdinand Ries, and he was a close friend of Joseph Haydn. Who better was there to claim as his teacher for an impressive resume, especially for one like Kalkbrenner, who always had his eye on wealth and fame? Besides taking lessons in counterpoint he saw a lot of Haydn, Beethoven and Hummel, playing duets with the latter, his only serious rival as a pianist. Thus, it is not entirely without warranty when Kalkbrenner styled himself as the last classical composer for the rest of his life. He firmly maintained that he was of the old school, and the old school was Beethoven, Haydn, Ries and Hummel. With his educaction finally ended, Kalkbrenner in 1805 and the year thereafter appeared as concert pianist in Berlin, Munich, and Stuttgart. "The preface to Kalkbrenner's method, in which he relates the beginnings of his invention, is exceedingly interesting. This invention consisted of a rod placed in front of the keyboard. The forearm rested on this rod in such a way that all muscular action save that of the hand was suppressed. This system is excellent for teaching the young pianist how to play pieces written for the harpsichord or the first pianofortes where the keys responded to slight pressure; but it is inadequate for modern works and instruments." Useful or not, this contraption became a runaway success. There are reports that it was still available for sale in London in the 1870s. In 1817 Logier teamed up with Kalkbrenner to found an academy where music theory and piano playing, of course with the help of the chiroplast, were taught. The proceeds from the patent made Kalkbrenner a wealthy man. In 1821 Ignaz Moscheles had also settled in London. His powerful and finished playing had a great influence on Kalkbrenner, who used his time in London to hone his technical skills even more. In 1823 and 1824 Kalkbrenner gave concerts in Frankfurt, Leipzig, Dresden, Berlin, Prague, and Vienna. Where he went he was received with loud applause. Considering the fact that Ignaz Moscheles, who was wider known, Kalkbrenner's equal as a pianist, and a better composer, was touring the same places at roughly the same time, this was quite an achievement. During the same period, he composed a variation on a waltz by Anton Diabelli for Vaterländischer Künstlerverein. Kalkbrenner returned to Paris a rich man. Here he became a partner in Pleyel's Fortepiano Factory, which by the time of Kalkbrenner’s death (1849) had risen to a place second only to Erard in prestige and output. 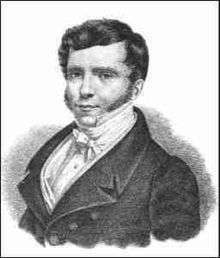 Kalkbrenner, although of German birth, became the ranking head of the modern French pianoforte school. The 1830s were his greatest time. He was at the pinnacle of his pianistic powers and his virtuosity aroused the greatest enthusiasm in the years 1833, 1834, and 1836 on his trips to Hamburg, Berlin, Brussels, and other places. After the arrival of Liszt and Thalberg, Kalkbrenner's fame was on the wane. What he lost in pianistic reputation he compensated through a happy marriage to a much younger, titled and wealthy French heiress, descendant of aristocrats of the ancien régime. The couple entertained in a grand fashion and did all it could to copycat the resurgent Bourbon aristocracy of the 1830s. Kalkbrenner died in 1849 in Enghien-les-Bains from cholera, which he attempted to treat himself. For Kalkbrenner's notable students, see List of music students by teacher: K to M § Friedrich Kalkbrenner. Cornelius Ábrányi (1822-1903): Hungarian pianist and composer and a lifelong friend of Franz Liszt, was Kalkbrenner's pupil from 1843 until 1844. During the same time he also had lessons from Chopin. In 1845 he returned to his native Hungary to devote himself to composition and the buildup of the Hungarian national school of composition. Arabella Goddard (1836–1922): English pianist. She began to study with Kalkbrenner at the age of 6 and also had lessons from Sigismond Thalberg. She made tours of Germany and Italy (1854–55); later toured the U. S., Australia, and India (1873–76). Harold C. Schonberg calls her the most important British pianist from 1853 until 1890. At her London debut (1853) she played Beethoven's Hammerklavier Sonata from memory which in those days took a great deal of courage. Ignace Leybach (1817–1891): Alsatian pianist and composer. He studied in Paris with Pixis, Kalkbrenner, and Chopin; in 1844 he became organist at the cathedral of Toulouse. Joseph O'Kelly (1828-1885): Irish composer and pianist born in Boulogne-sur-Mer, resident in Paris since c.1835. George Alexander Osborne (1806-1893): Irish pianist and composer, born in Limerick and died in London, lived in Paris for about 15 years until 1844. Marie-Félicité-Denise Pleyel (1811–1875): was a pianist with a German mother and a Belgian father. She studied with Henri Herz, Ignaz Moscheles, and Kalkbrenner. By the time she was 15 her virtuosity created a sensation in Belgium, Austria, Germany, and Russia. Before her marriage, Hector Berlioz was madly in love with her (1830). From 1848-72 she was professor of piano at the Brussels Conservatory. Ludwig Schuncke (1810–1834): German pianist. He studied with his father, the horn player Gottfried Schuncke (1777–1840). From there he went to Paris, where he was a pupil of Kalkbrenner and Anton Reicha. He settled in Leipzig in 1833, and became the intimate friend of Robert Schumann. He was co-founder of the Neue Zeitschrift für Musik. Camille-Marie Stamaty (1811–1870): French pianist, teacher and composer of piano music and studies (études). He was one of the preeminent piano teachers in 19th century Paris. His most famous pupils were Louis Moreau Gottschalk and Camille Saint-Saëns. Thomas Tellefsen (1823–1874): Norwegian pianist and composer. In 1842 he went to Paris, where he studied with Kalkbrenner. In 1844 he became a pupil of Chopin, and accompanied him to England and Scotland in 1848. He published an edition of Chopin's works, and played Chopin's music at recitals in Paris and in Scandinavia. Through Arabella Goddard and Camille Saint-Saëns – who studied with Kalkbrenner's star product Camille-Marie Stamaty – Kalkbrenner's influence reached well into the first half of the 20th century. This is no incident the American pianist and composer could have witnessed, as he himself arrived in Paris from his native New Orleans only in 1843. It is one of the many anecdotes about Kalkbrenner’s larger than life figure that Gottschalk would have heard in Paris salons. He wrote it down, yearning for his Paris days, either in a hotel room or in a railway carriage in May 1864 during a disastrous concert tour through Canada. "Kalkbrenner had a son whom he hoped to make the inheritor of his glory, but who, after having been a child prodigy, aborted and became a prodigious nullity. One night after having boasted before the French court of the improvisations of his child, then eight years old, the king expressed his desire to hear one of these marvellous inspirations. The child placed himself at the piano and played for some minutes, then, stopping all at once, turned toward his father and artlessly said to him: "Papa, I have forgotten –". Warsaw, November 27, 1831, Józef Elsner (Chopin’s piano teacher) to Chopin in Paris: "I was pleased to see, by your letter, that Kalkbrenner, the first of pianists, as you call him, gave you such a friendly reception. I knew his father, in Paris, in 1805; and the son, who was then very young, had already distinguished himself as a first-rate virtuoso. I am very glad that he has agreed to initiate you into the mysteries of his art, but it astonishes me to hear that he requires three years to do so. Did he think the first time he saw and heard you, that you needed all that time to accustom yourself to his method? or that you wished to devote your musical talents to the piano alone, and to confine your compositions to that instrument?" Paris, December 14, 1831, Chopin to Józef Elsner in Warsaw: "Three years of study is a great deal too much, as Kalkbrenner himself perceived after he had heard me a few times. From this you can see, dear Mons. Elsner, that the true virtuoso does not know what envy is. I could make up my mind to study three years, if I felt certain that would secure the end I have in view. One thing is quite clear to my mind; I will never be a copy of Kalkbrenner; he shall not destroy my resolution - bold it may be, but sincere - of creating a new era in art. If I take any more lessons now, it will only be that I may become independent in the future." Paris, December 16, 1831, Chopin to Titus Woyciechowski in Poland: "I wish I could say I play as well as Kalkbrenner, who is perfection in quite another style to Paganini. Kalkbrenner's fascinating touch, the quietness and equality of his playing, are indescribable; every note proclaims the master. He is truly a giant, who dwarfs- all other artists. (...) I was very much amused by Kalkbrenner, who, in playing to me, made a mistake which brought him to a standstill; but the way in which he recovered himself was marvellous. Since this meeting we have seen each other every day; either he comes to me, or I go to him. He offered to take me as a pupil for three years, and to make a great artist of me. I replied that I knew very well what were my deficiencies; but I did not wish to imitate him, and that three years were too much for me. (...) But many friends advise me not to take lessons ; they think that I play as well as Kalkbrenner, and that he only wants to have me as a pupil out of vanity. That is absurd. Anybody who understands music must appreciate Kalkbrenner's talents, although he is personally unpopular, as he will not associate with everybody. But I can assure you there is something superior about him, to all the virtuosi whom I have hitherto heard. I told my parents so, and they quite understood it, but Elsner did not; he considered that Kalkbrenner found fault with my playing out of jealousy." "Kalkbrenner and Hummel were at that time considered the greatest pianists, and even Chopin had come to Paris a few years before to learn from Kalkbrenner. I therefore approached him with considerable trepidation, and great was my disappointment when he told me that he no longer took pupils. He, however, kindly invited me to play something, to which he listened carefully, and then made some unpleasant remarks and advised me to take lessons from one of his pupils. As I was about to leave him he offered to play for me, saying that it might prove useful to me to hear him. I accepted eagerly and was full of expectation, when he sat down and played a new piece of his composition, entitled ' Le Fou,' one of the most reasonable and dullest pieces ever perpetrated. I admired the elegance and neatness of his scales and legato playing, but was not otherwise struck by his performance, having expected more, and wondering at some wrong notes which I had detected." "A sextet of Kalkbrenner's was played yesterday, which is miserably composed, so poor, so feeble, and so lacking in all imagination. Of course Kalkbrenner sat in the front row smiling sweetly, and highly satisfied with himself and his creation. He always looks as if he were saying, "Oh God, I and all mankind must thank Thee that Thou hast created a mind like mine" (Probst's words and interpretation very good, aren't they?)." German poet and satirist Heinrich Heine in his Letters on Music from Paris (1840–47) wrote with biting wit on musical life and musicians in the French capital. Kalkbrenner was the target of some of Heine’s more famous squibs. "Kalkbrenner reappeared this winter in the concert of a pupil; there still plays on his lips that embalmed and balmy smile which we lately noted in an Egyptian Pharaoh when his mummy was unrolled in the museum here. After an absence of more than twenty-five years, M. Kalkbrenner lately revisited London, the scene of his earliest success, and harvested a great crop of fame. The best is that he returned with his neck unbroken, and we now need no longer put faith in the mysterious report that M. Kalkbrenner avoided England so long on account of the unhealthy law which there prevails of punishing the gallant crime of bigamy with the halter. (...) Koreff said as wittily as neatly of him that he looked like a bon-bon which had fallen into the mud." "One day Kalkbrenner gave a dinner for a group of society celebrities, among them several famous artists. During the first course a magnificent fish caught the eye of his guests. They asked Kalkbrenner whence he had procured this beautiful specimen. Kalkbrenner was only too glad to explain. He himself had visited the famous Paris market in the morning to search for the best and freshest fish. Upon spotting the fish his guests were now eating, he was inconsolable to learn that the fish vendor had already promised the beauty to the personal chef of an archbishop. Kalkbrenner, devastated, nevertheless pulled out his card; on handing it to the vendor the lady cried: Oh you are Kalkbrenner, the famous master, well in this case I not only will give the fish to you, I will also give it to you absolutely free of charge." "In 1844, then very young, I gave in Paris a soirée to which all the illustrious pianists of the period were invited, among others Kalkbrenner. I played Chopin’s concerto in E Minor, Thalberg's Fantasia on Semiramide, and a fantasia by Liszt. The next day I went to thank Kalkbrenner for having come to hear me. This attention softened a little the generally sour disposition of the old pianist, who did not forgive the new school for knowing something; he took my hand and said with the air of majestic condescension: The style is good, as for the rest there is nothing astonishing; you are my grandchild (alluding to Stamaty, who was his pupil), but for god's sake, who advised you to play such music. Chopin! I hardly pardon you; but Liszt and Thalberg, what rhapsodies! Why did you not play one of my pieces? They are beautiful, please everybody and are classical". ↑ Liszt took Kalkbrenner’s edition seriously and wrote to his publishers Breitkopf and Härtel (probably in December 1837): I thank you much, gentlemen, for the obliging letter that you have written me. Up to the present time I have had none but the most pleasant business relations with Mr. Hofmeister, who has the kindness to publish the greater part of my works in Germany. As I do not know very much of the laws which regulate literary and musical proprietorship in Saxony, I had spoken to him about the Beethoven Symphonies, of which I have undertaken the arrangement, or, more correctly speaking, the pianoforte score. To tell the truth, this work has, nevertheless, cost me some trouble ; whether I am right or wrong, I think it sufficiently different from, not to say superior to, those of the same kind which have hitherto appeared. The recent publication of the same Symphonies, arranged by Mr. Kalkbrenner, makes me anxious that mine should not remain any longer in a portfolio. I intend also to finger them carefully, which, in addition to the indication of the different instruments (which is important in this kind of work), will most certainly make this edition much more complete. (Liszt 1894), p. 22. Italics added. ↑ This is a judgement probably first uttered by Louis Moreau Gottschalk: The perfect elegance of his (Kalkbrenner’s) manners, his cultivated elegance, and his talent gave him great success in society, but his extreme vanity, which had become proverbial, had in time rendered him unsupportable. (Gottschalk 2006), p. 220. This opinion still reverberated with Schonberg more than 100 years later: But Kalkbrenner was a more superficial musician, in addition to being a bourgeois gentilhomme of colossal vanity. (Schonberg 1984), p. 118. ↑ Marmontel writes: Kalkbrenner, homme d’ailleurs distingue, de belles manières, avait encore une faiblesse, celle de se croire un grand seigneur. L’habitude de frayer avec la noblesse anglaise et française lui fait fait comme une seconde nature ; il en parlait avec la familiarité la plus surprenante. Translation: Kalkbrenner, who was otherwise a distinguished man of good manners, had one other weakness; this was that he took himself for a great nobleman. His habitude of hobnobbing with English and French aristocracy had for him become second nature. He talked about it with the most astonishing implicitness. (Marmontel 1878), p. 105. ↑ (Marmontel 1878), pp. 236-243. Marmontel writes: Pendant que les fils affirmaient ainsi leur talent dans des genres divers, mais également artistiques, le père se consacrait avec un ardeur de dévouement a sa classe de piano du Conservatoire, y maintenant les grandes traditions, l’étude approfondie, l’analyse raisonné des maîtres anciens qui l’avaient formé lui-même: Bach, Händel, Scarlatti, Haydn, Mozart et Clementi. (Marmontel 1878), p. 239. Translation: While his sons thus showed their talents in different artistic fields, the father devoted himself with the ardour of selfishness to his piano class at the conservatory. Here he maintained the great traditions, the profound erudition and the well reasoned study of the old masters that had shaped himself: Bach, Handel, Scarlatti, Haydn, Mozart et Clementi. ↑ (Saint-Saëns 1919), pp. 8–9. ↑ (Weitzmann 1897), pp. 150–51. ↑ (Slonimsky 1958), see relevant articles. ↑ (Karasowski 1881? ), pp. 233-34. Italics added. ↑ (Karasowski 1881? ), pp. 238-38. Italics added. ↑ These friends included Felix Mendelssohn and probably Franz Liszt as well. ↑ (Karasowski 1881? ), p. 243. Italics added. ↑ (Heine 1893), p. 387. Italics added. ↑ (Marmontel 1878), pp. 105-06. ↑ (Gottschalk 2006), p. 220. As pointed out by pianist and musicologist Jeanne Behrend, editor of Gottschalk’s‘ Notes of a Pianist, the concert took place in 1845. Gottschalk was sixteen years old.